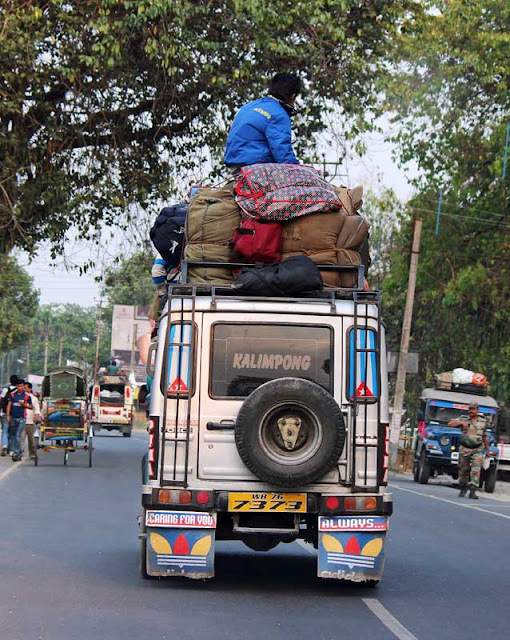 People in the West Bengal traveling comfortably on the roof of a bus, quite unmindful of the dangers. 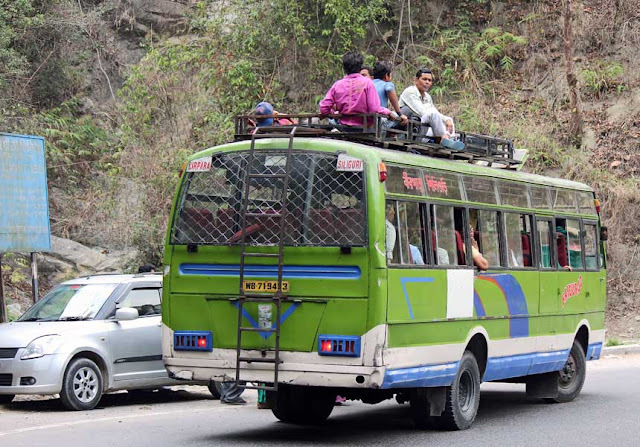 The bus is traveling from Siliguri to Gangtok. 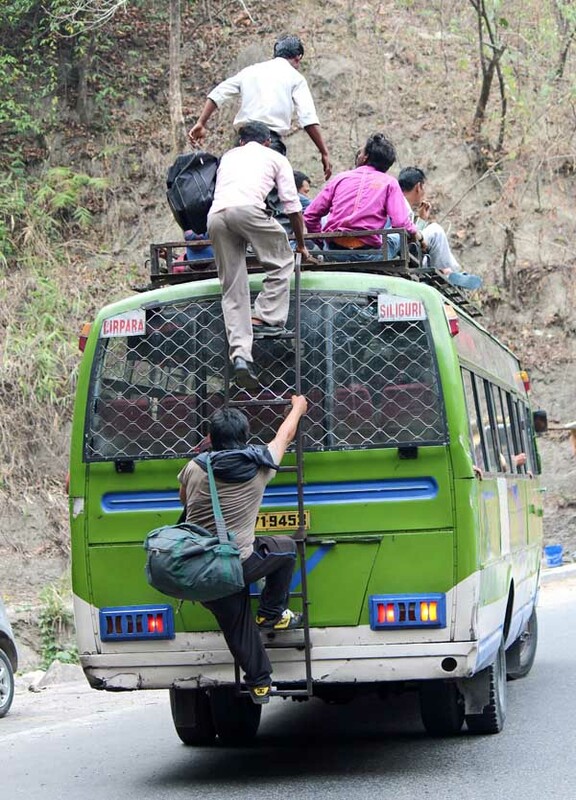 Even when the bus is in motion, people think nothing of scrambling atop a bus. This man is perched precariously on top of the luggage on the roof of a taxi. 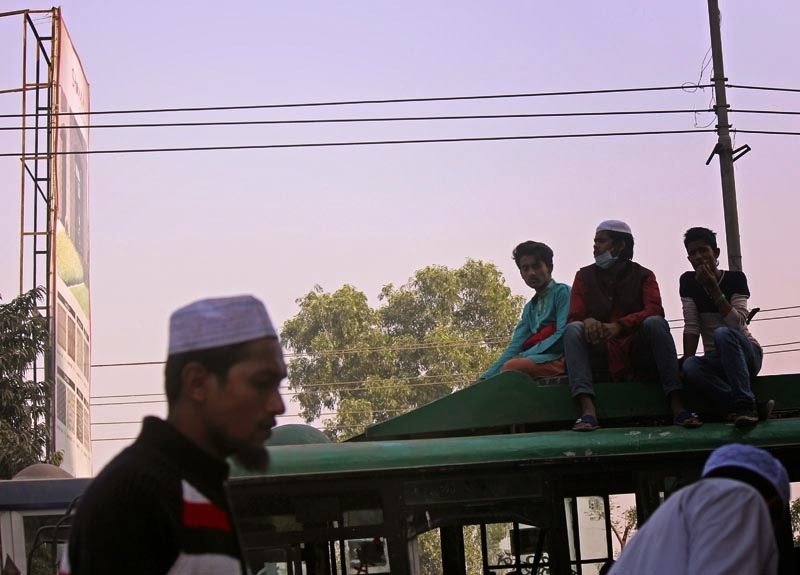 Another photograph of passengers on the roof of a bus. You might also like Families on two-wheelers or Pune Municipal Corporation Buses or Taxis and auto rickshaws crammed with people or Accidents scenes - overturned and smashed vehicles photos or check all the pictures filed under the label Transport.